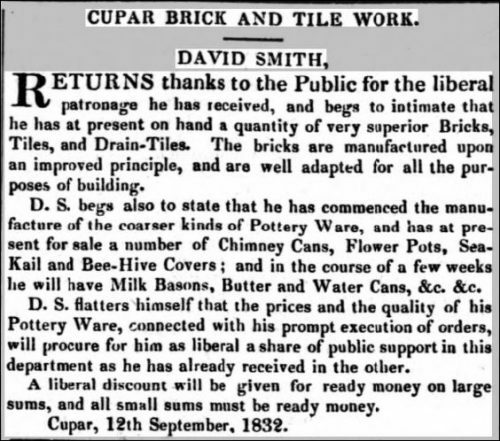 Below – 13/09/1832 – Fife Herald – Cupar Brick and Tile Works David Smith returns thanks to the Public for the liberal patronage he has received, and begs to intimate that he has at present on hand a quantity of very superior bricks, tiles, and drain-tiles. The bricks are manufactured upon an improved principle, and are well adapted for all the purposes of building. D. S. begs also to state that he has commenced the manufacture of the coarser kinds of pottery ware, and has at present for sale number of chimney cans, flower pots, sea- kail and bee-hive covers; and in the course of a few weeks he will have milk basons, butter and water cans, &c. &c. D. S. flatters himself that the prices and the quality of his pottery ware, connected with his prompt execution of orders, will procure for him as liberal a share of public support in this department as he has already received in the other. A liberal discount will be given for ready money on large sums, and all small sums must be ready money. Cupar, 12lh September, 1832. 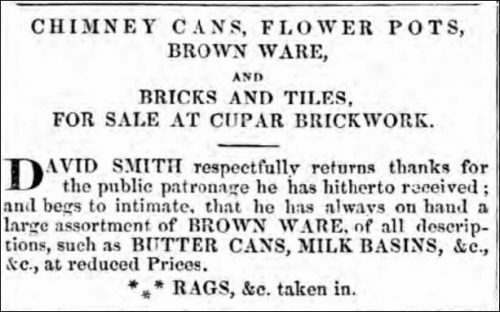 Below – 10/05/1838 – Fife Herald – Cupar Brick and Tile Works advert. David Smith. Below – 09/03/1843 – Fife Herald – Cupar Brick and Tile Works advert. David Smith. 09/11/1854 – Caledonian Mercury – Sequestrations – Creditors of David Smith, Builder, Brick and Tile Maker, Cupar meet in the chambers of W & G Pagan, writers, Cupar Fife, 29th November, 12 o’clock. Previous Article Nithsdale / New Cumnock Iron Works, Brick and Tile Works, New Cumnock. 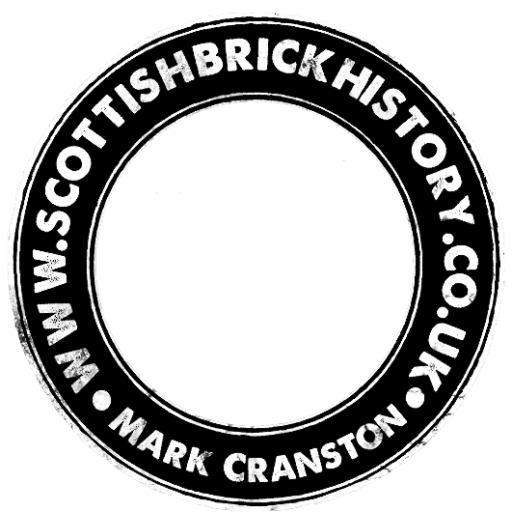 06/11/1826 – Glasgow Herald – To brick and tile makers. To let, for one or more years on moderate terms and warranted to have sufficient supply of water. One or two tables for brick and tile making. The clay lies adjoining to the lands of Annfield and is ascertained to be of the first quality….